DETAILS Beat cream cheese, sugar and lemon juice in large bowl with electric mixer on medium speed until well blended. Gently stir in two cups of the whipped topping. Spoon into crust. Refrigerate 3 hours or until set. Spread rest of cool whip over top. 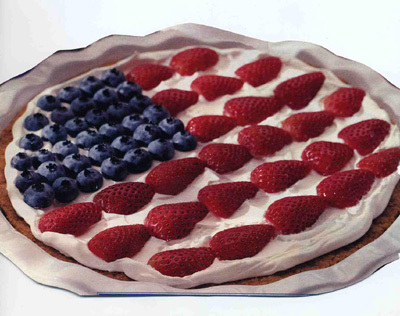 Arrange berries in rows to resemble flag. 1 tub (8 oz) COOL WHIP.